The Farm to Table series was developed for Del Monte to tell the story of how America creates family traditions with their produce. 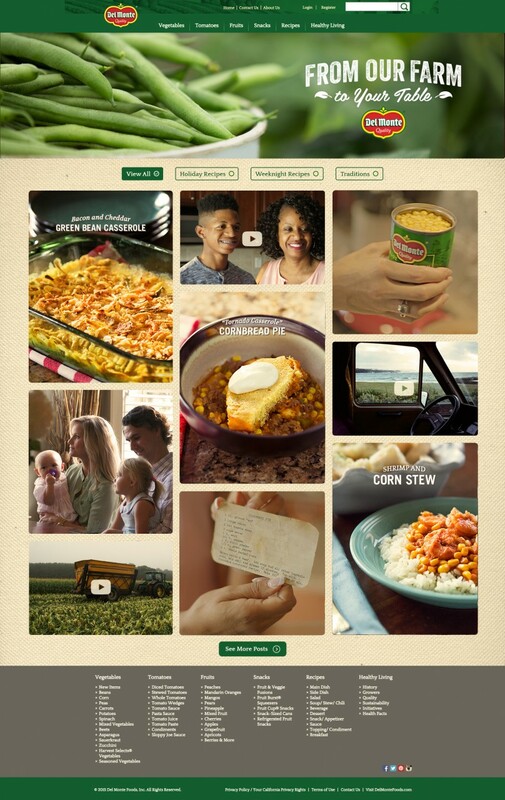 Filmed on location in New Orleans, Atlanta, and Green Bay, we visited three families to see how Del Monte inspires home cooks to add their own twists to classic recipes. And to add some extra flavor, food blogger Robyn Stone joined us on the road to partner with each of our families to develop unique recipes inspired by their hometowns. The episodes ran across all Del Monte social channels and were complemented by a site which housed the videos as well as recipes, photos and other content.